As fear of consumption of saturated fat spread like a virus through the entire universe, most people substituted good fats for the so called “heart healthy” vegetables oils as advised by different nutritionists. Why are we saying heart healthy in quotation marks? This is because we are usually ill-advised to consume them as we do not know their entire truth. In fact, these vegetable oils are very harmful. They contain a combination of excess nasty ingredients which are added to it during its preparation. 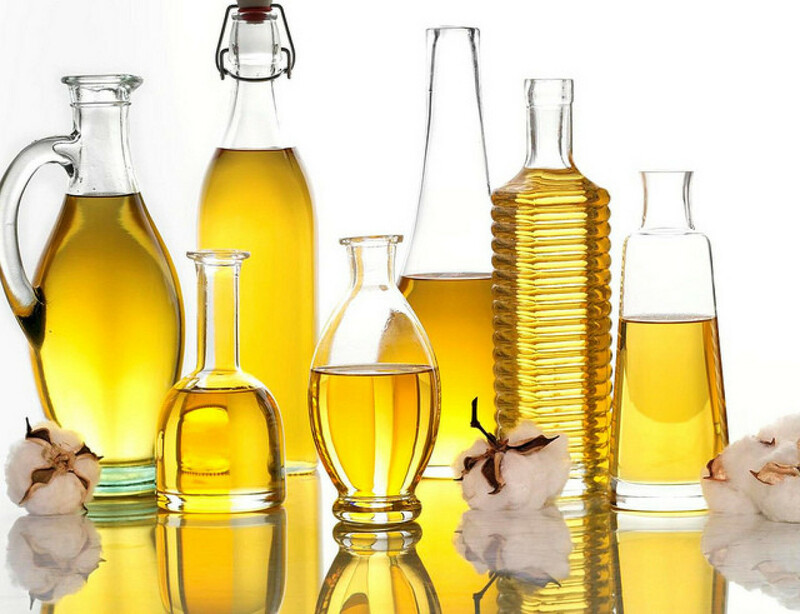 Some of the examples of these vegetable oils are soybean, cottonseed and corn oil. The oils are extracted from the seed using harsh extraction processes which involve different stages such as bleaching, high levels of heat, addition of toxic solvent hexane and many more. Moreover, these oils contain a lot of omega 6 fatty acids than we need. Therefore, if they are consumed in large amounts, they may be harmful to our body. They may cause inflammation, which is the leading cause of major chronic diseases. Most of us have grown up been fed with the knowledge that saturated fats are bad for our health. From different scientific studies been carried out each day, it has been suggested that fats are not as bad as we thought they were. But due to high demand of low fat products, most manufacturers have replaced fats with chemical, sweeteners and sugar as most foods without fat taste like crap. Saturated fat is not bad. But, the stuff we replace it with is worse for our health. This is how healthy foods such as yogurt are turned into harmful unhealthy foods. The same principle can be used for junk foods been advertised as fat free, low fat, low card and gluten free. Producing these foods does not make them healthier and better for you, they make them worse. Once again, the manufacturers of these products respond to the increased demand. Just because it does not have fats and gluten, it does mean that it’s healthy. Junk food is still junk food and it will not supply all the required nutrients. Most of these junk foods contain complex starch and sugars such as tapioca starch and potato starch. Increased presence of these complex starches in our bodies spike our blood sugar levels. The effects of consuming these foods can be devastating and harmful. Therefore they are best avoided. The “healthy” butter alternative is another plethora of the anti-fat campaigners. The most notable example of this so called “healthy” butter is margarine. Margarine was initially prepared from trans-fats but now, it is processed from vegetable oils. For the past few years, consumption of margarine (“healthy” butter) has gone up, while that for natural butter has declined. My main concern is that butter is healthy. Margarine is not. Grass fed butter/natural butter is an excellent source of vitamK2 and fatty acid butyrate. These two nutrients have strong positive effects on our health. However, the processed margarine (“healthy” butter) has a lot of harmful ingredients and chemicals that may cause illness. Studies indicate that with the increase in margarine consumption, a lot of serious health related problems have increased. You may have probably thought that the goofy green powder you add water is good for you but it isn’t. When you eat soup, you are drinking water, butter, milk, powder you add to the mix, salt and preservatives. In fact, most of us add a lot of salt to make it tastier. Sadly enough, salt is a risk factor in food. It is the major contributor to most heart diseases. In addition, most of the preservative we add to the soup contains a lot of dangerous chemicals. Therefore, the next time you prepare a bowl of soup; have this information with you. Avoid moving with the wind. Since ketchup has widely been used in the USA and has almost been accepted as a vegetable back there fool you. Ketchup contains a lot of sugars and salt which are not good for your health. In addition, most ketchup is processed and non organic; therefore can have serous side-effects when consumed. Nuts are generally known to be healthy foods. Peanuts are not a horrible exemptions but the ingredients been added to it make it unhealthy for consumption. Majority of peanuts been sold as snacks are packed with a lot of salt in them. As you are aware, large amounts of salt in the body is not recommended. In addition, some of these peanuts are usually fried with unhealthy fats before they are packed. Most people think that whole wheat is better than refined wheat. They are absolutely correct. However, whole wheat is not all that healthy. Most manufacturers fail to tell us that whole wheat. Whole wheat is the main source of gluten. In addition, studies indicate that whole wheat raises bad cholesterol levels by almost 65%. Ironically, fruit juice tops this list. I will explain why in a few. Many people believe that fruit juice is extremely healthy to the extent that they end up substituting the whole fruit for it. I can not deny the fact that fruit juice contains a lot of vitamins, but, what is its cost? Most juices are added a lot of sugar to make it sweeter. Apart from that, some of the key nutrients such as pulp are removed from it. Pulp provides essential fibers which are used to bring a balance between all the sugar balances in the fruit. By extraction of pulp from the fruit, it will be impossible to balance the amount of natural sugars in the fruit. Therefore, I highly recommend you to eat the whole fruit instead of drinking fruit juice.